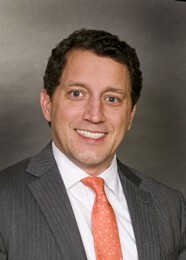 Jimmy joins HJ Sims as Senior Vice President and will be the lead investment banker covering Texas and the Gulf States. Jimmy began his career as a consultant at Ernst & Young LLP and later at Public Financial Management. Prior to joining HJ Sims, Jimmy spent two years at ORIX in their municipal and structured finance group specializing in the healthcare, industrial and higher education sectors. Prior to joining ORIX, he was a founding officer and owner of a global zinc recycling company focused in Southeast Asia and South America. Jimmy also spent more than ten years at Morgan Keegan, and among other areas of responsibility, led the firm’s Hurricane Katrina relief bond program, completing more transactions under that program than any other firm in the country. Jimmy holds an MBA from the University of Virginia and an undergraduate degree in business administration from the University of Mississippi.